About one million partly used bars of soap are tossed out daily by U.S. hotels, according to Clean the World Foundation, a non-profit organisation that recycles used soap for distribution to developing nations and homeless shelters. But recycling organisations such as Clean the World, based in Orlando, and Global Soap Project, based in Atlanta, are starting to get more attention from large hotel companies. 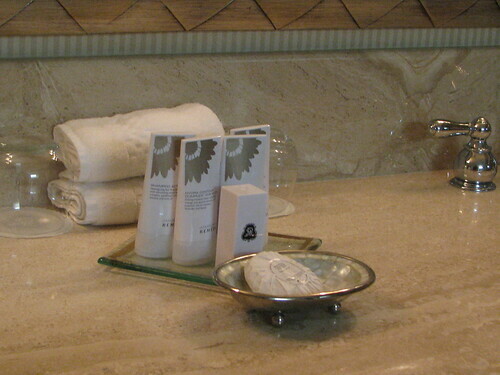 Clean the World said last week that it reached an agreement with Starwood Hotels to recycle soap, shampoo and lotion. They estimate about 1.6 million pounds of soap may be recycled each year because Starwood has about 176,000 rooms in North America. Clean the World has had collection deals with about 1,000 individual hotels, including about 100 Marriotts and 80 Hiltons. Some properties run by Carlson, Wyndham, Hyatt and Joie de Vivre Hotels also donate to the organisation. But the Starwood partnership is its first corporatewide agreement with a large hotel company. THE NATIONAL AIRLINE OF THE KINGDOM OF BHUTAN, ANNOUNCES THEIR NEW TRAFFIC PROGRAMME FOR PERIOD 30 OCTOBER 2011 - MARCH 2012. Drukair operates Daily Flights Paro - Bangkok - Paro. See attached for details of the timetables. The Federal Government's review of a range of visa classifications provides the opportunity to create a better environment for the tourism industry and ensure we keep the "Welcome' mat out for international visitors, Australian Tourism Export Council Managing Director, Felicia Mariani said today. The reviews look at the Working Holiday Visa, Student Visa and general holiday visas as an important way to ensure Australia stays competitive and continues to be a desirable destination. "The move towards simplifying our visa categories is one action the Government can take to keep the "Welcome' mat out there and create an environment that makes us more competitive on the global stage," Ms Mariani said. "There are currently too many roadblocks to Australia as a tourist destination including the rising Australian dollar, increasing fuel surcharges, the Passenger Movement Charge along with the cost and complexity of getting a visa, so we welcome any changes the Government can make that will ease this burden to our visitors." ATEC provided input into the National Tourism Alliance (NTA) submission on the Strategic Review of Student Visas being undertaken by Michael Knight. The submission argued for changes to the eligibility and conditions of the visa for international students. "Our industry suffers from labour shortages and relies heavily on both domestic and overseas workers. Many international students are studying tourism and having access to these workers is the key to growth in our industry. "There is also a great deal of competition for students internationally and Australia needs to ensure its competitiveness by providing procedures and visa charges that are in line with other competitor destinations." The NTA submission also called for the Federal Government to: Introduce a graduate working visa that would enable international students to gain work experience and/or professional accreditation after completing their studies; Enable and encourage international students to undertake apprenticeships and on-the-job learning during their study; Where work is being counted toward on-the-job learning, the 20 hour maximum should not apply; and That appropriate work experience be counted toward the application of skills for overseas students wishing to achieve trade status. "International students account for more than 36% of the $17.8 billion international tourists spend in Australia every year. "On top of this, these students contribute to the economy through employment and provide labour support to the tourism industry that in turn attracts more international expenditure into our economy. "We simply can't afford to not be competitive in the market for their custom." 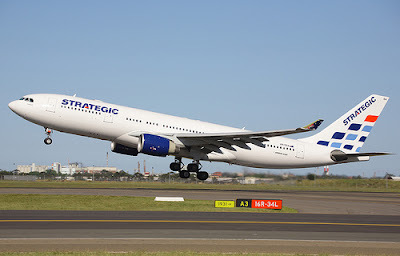 Australia’s newest passenger airline, Strategic Airlines, is seeking permission from the International Air Services Commission to fly across the Pacific to US according to a report in the SMH. The airline, which runs a fleet of aircraft which includes four 20-y-o Airbus A320-200 series and a 10-y-o A330-223 ex-Lufthansa aircraft also announced in March that the company was moving to Brisbane where maintenance and corporate operations would be based. It has also been widely rumoured that the airline will change its name to Air Australia to create a more identifiable consumer brand, although a Perth flying school already operates under that name. Strategic COO, Damien Vasta, declined to reveal to which US cities the airline would fly, instead hinting that VC might instead open new routes rather than attempt to compete head on. The company was initially formed in 1991 as a cargo and logistics company but has since moved into passenger operations forming Strategic Airlines in 2009. It operates routes under its own name currently between Perth and Derby, Perth and Bali, Brisbane and Townsville, Townsville and Bali, Brisbane and Port Hedland, Port Hedland and Bali, with non-stop services soon to start between Brisbane and Bali, Brisbane and Phuket, and Melbourne and Phuket. It also provides an A320 for Solomon Airlines, operating three flights weekly between Brisbane and Honiara. Former Ansett and Virgin Blue PR chief, Heather Jeffery, now represents the airline. The Royal Wedding is just over a week away and the rumour mill is going into overdrive with rumours of where the newlyweds will honeymoon. One of the destinations speculated upon has been Jordan. Abercrombie & Kent provides a wonderful luxury itinerary exploring Jordan including the modern bustling city of Amman where Middleton and her family lived for more than two years after her father Michael, a pilot, was transferred there in 1984; the ancient 'Rose- Red City', whose tombs, temples and exquisite monuments are hewn from solid mountain rock and topped off by a whole day to explore the Dead Sea. The itinerary is 7 days and commences at Amman airport with a personal Abercrombie & Kent welcome and private transfer to the Four Seasons Amman. Day two will take in Amman, taking in the city sights with a morning visit to the National Archaeological Museum, the Roman Theatre and the Darat al Funun arts centre. Also visit A&K's philanthropy project, a school rehabilitation initiative, 'Madrasati'. The itinerary then allows the afternoon to be tailored to suit varying interests: a traditional falafel lunch at Jabal Amman followed by a private guided walk of ancient Amman's streets; or an excursion north out of the city to the ancient Roman city of Jerash to explore one of the most well-preserved ancient Roman cities in the world. In the evening guests are invited to experience the warm hospitality of a Jordanian family for dinner. Time is spent in Petra to savour the many wonders of the ancient 'Rose- Red City', whose tombs, temples and exquisite monuments are hewn from solid mountain rock. Sights include the Treasury, accessed through the narrow 'siq'; the Roman Theatre; the Corinthian and Palace Tombs; and the Roman Road. In the afternoon guests have the opportunity to climb the 1,200 steps to the impressive Monastery with spectacular views over Petra and the Negev Desert. In the evening is a choice of learning to cook and eating Arabian dishes alongside local women at the Petra Kitchen, or return to Petra's ancient city to view it under lights. The itinerary offers a choice of activities while based in Petra including: travel to the Dana Nature Reserve, where guests will spend a couple of hours hiking the guided nature trail; visit Wadi Rum with its huge mountains of sandstone and narrow canyons for a 4X4 excursion; spend another morning exploring Petra, including a visit to the home of a Bedouin family for a traditional Arabic coffee; or visit Bethany, on the east bank of the Jordan River, an ancient baptismal site. No itinerary would be complete without a visit to the Dead Sea and the A&K itinerary allows a full day at the Dead Sea. At 410m below sea level, this is the lowest point on earth! A serene, beautiful place, the high levels of salt in the water keep the body afloat, whilst the variety of minerals including magnesium, sodium, potassium and bromine is believed to promote good health. Accommodation is in the most luxurious hotels and resorts in Jordan including: The Four Seasons Amman; Petra Movenpick Hotel and The Kempinski Hotel Ishtar Dead Sea. The Petra Movenpick offers a newly refurbished 60 sqm Royal Suite. A blend of Arabian and contemporary design, elegantly decorated with selective fixtures, it suits the most discrete couple. The Kempinski Hotel Ishtar Dead Sea offers three luxurious enclaves set amidst gardens dotted with lagoons, waterfalls and private pools, where ancient olive trees mingle with palm trees, providing guests with absolute privacy in a serene and unmatched setting unlike any other by the Dead Sea. All rooms and suites are enriched with quintessential facilities; luxurious Dead Sea inspired amenities, and complimentary benefits. It also offers Ishtar Royal Villas for the regal guest. The price for this itinerary is from $4,130 per person based on twin share. Scenic Tours’ European River Cruises 2012 program is definitely our best ever. The program features Scenic ‘Space Ships’ including the new Scenic Crystal with the unique Scenic ’Sun Lounge’ – yet another extraordinary enhancement available on 85% of cabins. Imagine this: it’s a beautiful day on the waterways, the sun is shining, you’re relaxing on your private balcony, then a cool breeze springs up and it starts to get a little chilly. What do you do? Simply press a button and your private balcony becomes a fully weatherproof Scenic ‘Sun Lounge’ as a second pane of glass lifts hydraulically to form a sealed glass window. Yes, your private balcony has just been converted into your very own private indoor lounge. For 2012 new additions to the program include European Village Life – exclusive access to several special towns and villages along the way where you can mix with the locals and share in their everyday lives. The brochure also features the once-in-a-decade Floriade 2012 flower festival in the Netherlands as well as new Scenic FreeChoice highlights such as joining the famous Lippinzaner Stallions for their morning exercise in Vienna, or a guided tour of the Spanish Riding School. The 2012 program is currently priced from just $6095 per person twin share for the 15 day Jewels of Europe River Cruise, with a Fly Free return including taxes offer available until September 2011 or until sold out, based on an E category cabin (no balcony). 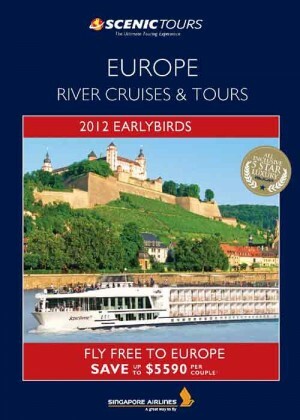 Click here to view the Scenic Tours 2012 Europe River Cruising and Tours earlybird brochure. Advances in baggage handling technology have been undermined by natural disasters and flight disruptions, increasing the risk of luggage loss in the world's airports, according to Australia's top online travel insurer. Travel Insurance Direct (www.travelinsurancedirect.com.au) said luggage loss had increased during 2010 for the first time in three years, due partly to the extensive flight disruptions caused by the Icelandic volcanic eruption in April last year and the widespread blizzards which swept North America and Europe. The insurer's General Manager Ian Jackson said almost 30 million bags were mishandled in airports worldwide during 2010, an increase of more than 17 per cent over the previous year. "Unfortunately for travellers, growing traffic levels at airports worldwide have combined with extraordinary weather events to increase the chances of your luggage going missing," Mr Jackson said. "Until recently, airports had been making excellent improvements in their baggage handling processes and technology, but luggage loss is now on the increase again." 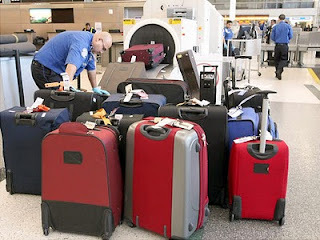 The worldwide trend was confirmed recently in the 2011 SITA Baggage Report which found 12.07 bags were mishandled for every thousand airline passengers who travelled during 2010, an increase from 11.38 per thousand the previous year. Mr Jackson said the results were not surprising given the estimated 300,000 flight cancellations experienced last year, mostly in Europe at the time of the Eyjafjallajökull volcanic eruption. "Fortunately, the majority of mishandled bags were reunited with their owners within 48 hours, but there were still more than a million items lost last year and never seen again," he said. "That's more than 2800 disappearances every day, an increase of 18 per cent over the previous year." Mr Jackson said lost, damaged and stolen luggage represented the biggest single category of travel insurance claims lodged with Travel Insurance Direct. The insurer offers detailed advice on how to minimise the risk of luggage loss, including 10 lost luggage tips listed on its website. "Unfortunately there's nothing a traveller can do about flight disruptions, but there are still several simple measures travellers can take to reduce the chances and impact of lost luggage," Mr Jackson said. "The most important thing of all is to ensure all luggage is properly labelled and never travel without adequate travel insurance." For the fourth time in a row, Hapag-Lloyd Cruises' MS EUROPA is the only cruise ship in the world to be awarded the prestigious Six Star Diamond Award by the American Academy of Hospitality Sciences. The American Academy of Hospitality Sciences is renowned worldwide for awarding excellence in the global travel and luxury services sector. Each year the Academy bestows its coveted International Star Diamond Award exclusively to five star establishments that are deemed to be the pinnacle of quality by its esteemed Board of Trustees. The EUROPA was for the first time additionally awarded the Green Star Diamond Award recognizing environmental responsibility, and her new "Restaurant Dieter Mueller," launched last year, received a Five Star Diamond plaque, awarded for high quality and superb performance. 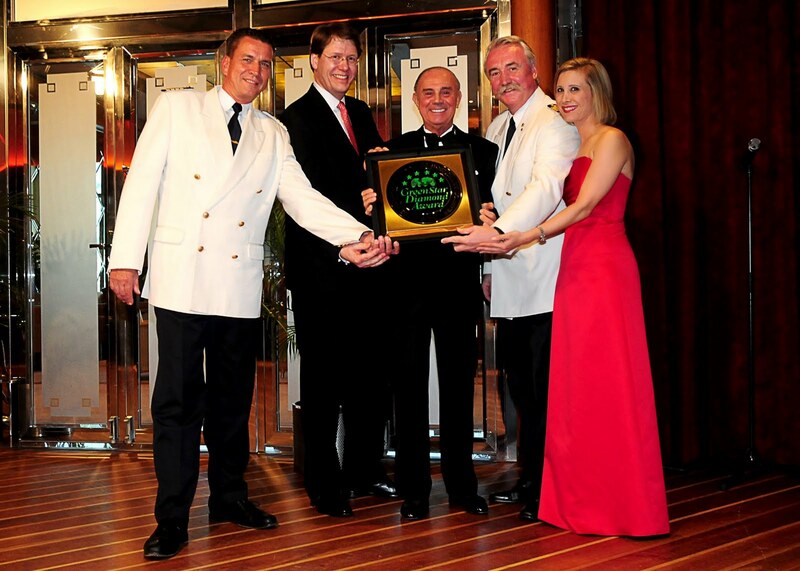 "The MS EUROPA is the only ship amongst our prestigious members deserving of the Six Star Diamond Award. It's the most elite on the high seas," said Academy President, Joseph D. Cinque. "The MS EUROPA, continuing to upgrade its superior product has earned its right again to this award, as well as receiving for the first time the Green Star Diamond Award and a Five Star Diamond plaque for its new restaurant." EUROPA is the first "all-suites" cruise ship, with staterooms that are never less than 290 square feet, 80% of them having their own veranda, assuring privacy and relaxation. The EUROPA is one of the few ships in the cruise industry that offers guests the largest space per passenger, as well as one of the highest staff passenger ratios, with 280 staff members for max. 408 guests. New to the EUROPA in September 2010, Dieter Mueller became the first award-winning chef to open his own gourmet restaurant onboard the EUROPA. He's personally on board 70 days a year. The EUROPA offering international cruises (German/English) ensures English-speaking passengers feel comfortable from the moment they step on board. For more information on the EUROPA's '11-'12 bilingual itineraries visit www.hl-cruises.com or contact one of the sales partners below. The Inaugural WTM Vision Conference – Milan has been hailed a great success by the travel and tourism industry. Almost 100 delegates packed into the Italian Stock Exchange last Thursday to hear high-calibre speakers discuss the key issues within the European and Italian travel and tourism industry. The conference started with the unveiling of the latest research from Euromonitor International. The company’s Travel and tourism Industry Analysis Angelo Rossini told delegates how the Italian tourism industry is set to outperform the wider Eurozone over the next two years. He also urged delegates to focus on the huge potential of the Chinese travel and tourism market. The following session Bournemouth University Professor Dimitrios Buhalis told delegates about the power of social media. He added social media is not a fad and warned the industry his students communicate almost exclusively through social media platforms, described the phone as “so 70s” and email as “how 90s”. The final session saw a distinguished panel discuss the Italian Outbound Market. The panel, including former TUI boss Dermot Blastland, concluded last year’s Ash Cloud Crisis has increased the popularity of the bigger, well-known tour operators as customers experienced the support-networks and infrastructure these organisations have in place. WTM Vision moves on toDubaion May 3 at WTM sister exhibition Arabian Travel Market before return toLondonon May 25. Reed Travel Exhibitions and the Melbourne Convention + Visitors Bureau (MCVB) last night won the prestigious ‘Exhibition of the Year’ award for the 2010 Asia-Pacific Incentives & Meetings Expo (AIME) for the third consecutive year at the 2011 Meetings & Events Australia (MEA) National Awards Night. This accolade means that AIME is now in the MEA ‘Hall of Fame’. AIME is the premier event in the Asia-Pacific region and the largest exhibition inAustraliafor the business events industry held annually at the Melbourne Convention and Exhibition Centre (MCEC). The MEA ‘Exhibition of the Year’ award is designed to recognise the effort required to successfully plan, organise and manage an exhibition. The exhibition must be multifaceted in its approach and achieve its objectives, through the efficient use of resources, innovation and creativity. Sandra Chipchase, Chief Executive Officer of the MCVB stated: “Receiving this award for the third year running highlights the success of AIME in raising the profile of Melbourneand Australiain the global marketplace for the business events industry. 2010 was AIME’s 18th year and it continued to break attendee records by attracting high quality Hosted Buyers and visitors, and new exhibitors. Sally de Swart, AIME’s event director comments: “We are thrilled to be awarded again and it is testament to the Reed and MCVB teams’ commitment and hard work in delivering the premier event for the industry each year. We are now going into our 20th anniversary year and look forward to continuing AIME’s winning edge. AIME 2012 will be held from 21 – 22 February at the Melbourne Convention and Exhibition Centre. Lufthansa has engaged Wahabi Nouri, who has just been named “German Chef of the Year 2010” by the Gault Millau restaurant guide, as its forthcoming Star Chef. Born in Casablanca, Morocco, Nouri combines classic, French-inspired haute cuisine with an exquisite oriental flair at his renowned restaurant – Piment – in Hamburg. Lufthansa passengers travelling First Class and Business Class on intercontinental routes can look forward to tasting his culinary creations in the months of May and June. In First Class, there will be a choice of three starters: lobster terrine with baby leek, curry cream and papaya relish; beef à la Mechoui presented with carrot pesto; and asparagus mousse with mixed salad. To follow, passengers can choose seafood and shellfish bisque with cilantro or a salad of frisée, romaine lettuce and arugula with herb mushrooms and carrots served with a tomato and tarragon or yoghurt and dill dressing. Main courses are lamb shoulder tajine with stewed eggplant and zucchini and sweet potato; breast of guinea fowl filled with almonds accompanied by beans and Macaire potatoes; and fried turbot in orange and port sauce with braised fennel and basmati rice. The Lufthansa Classics in May and June are freshly harvested asparagus with Hollandaise sauce, different types of ham and parsley potatoes. To round off the menu, Wahabi Nouri has created tempting desserts: a spicy chocolate delice with cherry sauce and mango sorbet or crème of Ras el-Hanout with raspberries. A variety of select cheeses served with fig chutney, grapes and walnuts will also be offered. Culinary delights of Wahabi Nouri likewise await passengers in Business Class. As an hors d’oeuvre, there is, for example, coffee-marinated salmon with oriental potato salad and peppermint oil. Among the main courses is lamb stew braised in saffron and ginger presented with chick peas and mashed potatoes. The Lufthansa Classics dishes are Swabian dumplings in vegetable broth in May and spaetzle cheese noodles with fried caramelised onions in June. A variety of desserts will be offered, including a delicious soft fig and date cake, fruit salad, curd mousse and marinated strawberries. Halloumi, labneh and sumac cheese with sun-dried tomatoes will also be served. Wahabi Nouri grew up in Frankfurt. After completing his chef training at the Weingut Nack restaurant in Gau-Bischofsheim in Rhine-Hesse, he worked under renowned top chefs such as Harald Wohlfahrt and Eckhard Witzigmann. Until the end of the 90s, Nouri worked for the international caterer Kofler & Kompanie, where he rose to become chef de cuisine. In 2000 he opened his own restaurant – Piment – in the trendy district of Eppendorf in Hamburg. There he made a name for himself because of his sophisticated combination of spices from his native Morocco and classic French cuisine, and only one year later he was awarded a Michelin star. In 2004 and 2006 he won the German Masters and then represented Germany at the Bocuse d’Or, the unofficial world championship in the art of cooking. This ANZAC Day, The Ghan will be embarking on a four day commemoration of the glories and sacrifices of the Australian Armed Forces in the first annual ‘The Ghan’s ANZAC Tribute’. The Ghan played a vital role in transporting our troops during the Second World War and now almost 70 years on, The Ghan is proud to be celebrating these Australian heroes. The journey will lead right through the heart ofAustralia, fromAdelaidetoDarwin, raising vital funds and awareness for the Returned Services League of Australia (RSL). Departing Adelaideon 23 April and arriving into Darwinon 26 April, the trip encompasses a series of special events and features iconic Australian performer, John Williamson. The first in a series of journey highlights is a ride through the picturesque Flinders Rangers in an original Ghan ‘troop train’. The journey then continues onto Coober Pedy where returned servicemen flocked in search of Opal after the Great War, living underground as they did in the trenches ofEurope. The highlight of the journey is a traditional Dawn Service on Anzac Hill in Alice Springs where the sun will rise over the magicalMacDonnellRanges. Then, in Katherine, guests will hear why the small town was hit by almost 100 bombs during the Second World War. At theAdelaideRiverWarCemeteryguests will pay their respects to the fallen, before arriving into the final destination ofDarwin, which bore the brunt of largest attack ever mounted by a foreign power againstAustralia. “The Ghan’s ANZAC Tribute will be an unforgettable journey,” said Chief Executive of Great Southern Rail, Tony Braxton-Smith. “We are really excited to be returning to our roots and working with the Returned Services League of Australia on what is set to become an annual commemoration ofAustralia’s military history,” said Tony. Country signer-songwriter John Williamson will be at the Alice Springs Dawn Service. He will be performing at the Alice Springs RSL ‘Gunfire Breakfast’ following the service, which is open to the public. John will also be performing at Katherine Gorge at 11am on Tuesday 26 of April, which the public are welcome to attend. Great Southern Rail is fortunate to have Dr Tom Lewis OAM, Director of the Darwin Military Museum, Author, and Naval Officer, as a special guest Historian aboard the journey. Holidaymakers generally favour the idea of sustainable travel, but are not willing to pay significantly more for a “sustainable” holiday. This finding was confirmed in a study conducted by the Lucerne University of Applied Sciences and Arts in preparation for the World Tourism Forum Lucerne 2011. The study is based on the responses of nearly 5,000 Swiss customers of tour operator Kuoni. In preparation for the Forum which took place last week at the Swiss Museum of Transport, the Lucerne University of Applied Sciences and Arts conducted an extensive study. In the first part – an online survey of over 6,000 tourists in eight countries – researchers looked at how travellers define sustainable tourism and whether the topic of sustainability plays a role when people select a holiday destination or book a trip. In the second part, Swiss Kuoni customers were asked how much more they would be willing to pay for “sustainable holidays”. Nearly 30,000 customers of Kuoni and Helvetic Tours in Switzerland were sent an online questionnaire. Sixteen per cent or a good 4,800 customers participated in the survey. The researchers looked at how much more customers would spend on sustainability, specifically for a safari trip to South Africa and beach holidays in the Maldives. The findings were consistent in both cases. The conclusion: Customers are inclined to book more sustainable offers but are not prepared to pay significantly more and would only consider doing so when all aspects of their holiday are perceived as sustainable. In concrete terms, this means: the more sustainable the individual factors of the particular travel offer (local products, working conditions and an environmental approach), the greater the likelihood that the offer will be considered by prospective customers. Even in such cases, however, individuals are not prepared to pay the effective additional price, as shown by the example of CO2 compensation, for instance. The precedence of cost consciousness over environmental awareness was already demonstrated by the first part of the empirical study in eight countries. The factors of weather/climate and price play a much greater role in the booking of leisure travel. “Sustainability is of little importance and comes second to last among the eight criteria there are to choose from”, wrote the authors. Nevertheless, tourism enterprises that emphasise sustainability in their product range can look toward a potential of around twenty per cent of travellers who ranked the topic of sustainability in third place or higher as a decision-making factor. Addressing some of the most senior tourism industry officials in the Asia-Pacific region gathered in Beijing last week, TMS Asia-Pacific CEO Andrew Chan has warned of the pressing need to develop the strategies required if the sector is to attract and engage the 'next generation' of employees. This he said was critical if the tourism sector is to successfully compete against other industries into the future. Speaking at last week's 60th PATA Anniversary & Conference, Mr Chan said it was imperative for the sector to take a bigger picture view of the situation before it was too late. "It's no longer a question of losing talent to competitors within our sector," Mr Chan said. "It's now become a much broader issue and we are continuing to lose talent hand over fist to other industries offering better remuneration and career path opportunity. "If we don't do something about engaging the 'next generation' and outline to them the benefits accruable within our sector, it seems highly improbable that the viscously cyclical war for talent that has dogged us for so many years will ever be completely resolved." Few companies with the tourism sector, he said, had found the right strategy for understanding and effectively managing the Gen Y demographic. "There's a misalignment of expectations between Gen Y and many organisations within our sector. "Gen Y is the most educated generation in history, most coming out with degrees or even master degrees and these are the people who are shying away from the entry level jobs and assignments that are still expected of them by so many organisations. "That is the grim reality of what our sector faces. While there are those who have achieved success, they are too few in number. "For many other companies, it may already be too late – so we now need to start looking at ways in which we can snare the next generation – the so-called Gen Z. "This new emerging demographic offers our industry even more potential than its predecessors," he said. "We now need to focus on how we are going to engage these people. "Whether we like it or not, the traditional engagement methods used time and time again have got to go out the door and we have to start moving in 'their' times if we are to succeed." Mr Chan cited ever-evolving social media as having a critical role in helping to engage the next generation. "Many of our traditional methods are now redundant and sitting around conference rooms debating the issues is not going to provide answers, "he said. "If we are to move forward now is very much the time to take the required affirmative action." Hyatt Regency Coolum has unveiled the latest in a series of stylish refurbishments, creating a contemporary new look for the resort's popular King Rooms. The first phase in a complete renewal of 156 King Rooms has been completed, part of a program that has already seen the upgrade of Golf Villas, Lakefront Villas and the extensive health and beauty facilities of The Spa. An initial 12 refurbished rooms are now open to guests – now named Golf Kings and Garden Kings - with others to be completed in coming months. 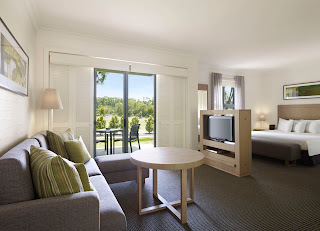 At 46 sqm each, the new King rooms offer expansive bedroom and living areas, en suites and outdoor patio areas with views of the golf course, lakes or native gardens. Each has been refitted in contemporary style, with crisp modern tones to complement the sub-tropical Queensland environment that surrounds the property. Hyatt Regency Coolum General Manager Maurice Holland said the new King Rooms were a fitting advance for one of Australia's favourite resorts. "A new generation of guests is embracing Hyatt Regency Coolum and we're investing heavily to ensure the resort continues to be relevant and stylish," Mr Holland said. "As one of Australia's first and best-known integrated luxury resorts we want to be not only a pioneer in Queensland tourism but also a constantly evolving part of the future." Hyatt Regency Coolum's two-bedroom Golf Villas and Lakefront Villas were refurbished late last year to offer a stylish modern décor. The upgrade followed a $4 million refurbishment of The Spa during the previous year, creating a new look and expanded facilities for the largest facility of its type in the southern hemisphere. Other recent developments at Hyatt Regency Coolum include the new-look McKenzie Grill, serving modern classics from a lively open kitchen, and a brand new Dune Beach Club offering pool-side leisure activities and a stunning new outdoor venue for events. Located on Queensland's beautiful Sunshine Coast, Hyatt Regency Coolum is spread across 150 hectares of lush rainforest, natural bush and woodlands, with direct access to 2km of pristine surf beach. The resort offers extensive accommodation choices from King Rooms through to the three-storey Ambassador Residence, a range of dining options and world class leisure activities that include a luxurious day spa, tennis centre, arts centre, kids clubs and a par 72 golf course that is home to the Australian PGA Championship. While Queensland’s past summer may have been a wash-out, the State’s wines enjoyed a bumper season over the holiday season, with the popularity of Mercure’s pioneering Queensland Grands Vins wine list proving there are many more attractions to the Sunshine State than just sun, sand and surf. Figures for the Spring-Summer Grands Vins menu showed an increase in demand for Queensland wines of 27.4% compared to the corresponding Grands Vins menu of the dryer 2009-10 spring-summer season. Mr Scanlan said that the launch of Mercure’s Autumn-Winter Grands Vins list would highlight that while Queensland’s weather had become more variable in recent years, Queensland’s wines were only getting better with every new season. Mercure’s Grands Vins is a wine list dedicated to showcasing some of Queensland’s signature wines and is featured at Mercure hotels across the State to allow visitors to appreciate the maturity of the local industry. The Queensland wine list has been a feature of Mercure hotels in Brisbane, Cairns and Townsville for the past three years and will now also be incorporated into the newly added Mercure Clear Mountain Lodge and Mercure Kingfisher Bay Resort on Fraser Island. Labels on the wine list, which is revised twice yearly, are selected from a number of boutique wineries in the Stanthorpe region, recognised asQueensland’s premier wine area, as well as from the emerging regions of South Burnett, the Darling Downs and the Gold Coast hinterland. Accor’s Mercure brand is the first major hotel group in Queensland to develop a defined program to promote the State’s wine industry and the launch of the new Grands Vins list is a vote of confidence in Queensland’s wine and tourism industry at a time when the latter faces significant challenges. Accor’s Neil Scanlan said that the initiative was a positive move for wine tourism. ‘When visitors come and stay at a Mercure Queensland hotel we want them to have a complete Queensland experience. Wine and food is very much a part of the travel experience and Mercure is working hard to bring the wine and tourism experience together,’ said Mr Scanlan. The Autumn-Winter list features some of the State’s finest wineries including Robert Channon Wines, Symphony Hill, Summit Estate, Ballandean Estate, Sirromet, Mount Tamborine, Ridgemill Estate, Settler’s Rise and Golden Grove. The wines offer a wide range of varietals that perform well in Queensland conditions, such as verdelho, pinot gris and malbec, and for the first time includes a sparkling wine, the award-winning sparkling chardonnay from Robert Channon Wines. The Grands Vins wine list is designed to make wine selection easier, grouping wines in four particular styles – fresh and tasty; fruity and light; balanced & elegant and spicy and full bodied. This helps guests choose the most suitable wine for every occasion and dish while introducing wines that they might not otherwise experience. Every wine offered has been selected by an expert tasting panel comprising sommeliers, wine connoisseurs and food and beverage professionals with final judging conducted with appropriate food courses to ensure the wines are “food friendly”. Some 80% of wine sold at Mercure hotels is consumed with food, so compatibility with food is a major judging criteria. Pricing is also considered as Mercure wants to dispel the myth that good wine has to be expensive. Mercure’s Grands Vins shows it is possible to enjoy great wines – many from smaller vineyards - at very attractive prices, by both the glass and the bottle. The Mercure Grands Vins regional lists complement each hotel’s standard wine list, which together provide a comprehensive range of Australian and international wines. For more than 35 years, within the Accor Group, Mercure has exemplified expert hospitality and personalized service. preserved through the type of services offered and the decor, both of which vary from one hotel to the next. IN his continuing search for the more weird, wacky and wondrous in the world of travel, David Ellis says plans by the Saudi Arabian royal family to build an office, hotel and shopping tower that will soar 1.6km high (one mile) into the sky are being greeted by anything but enthusiasm. Newspaper columnists, talk-back radio callers and environmentalists world-wide are describing it as anything from "a thrusting phallic symbol," to "hair-brained," "a scary disaster waiting to happen," and "delusions of grandeur." 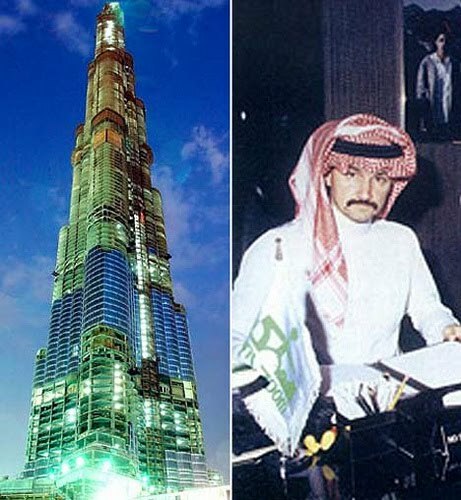 The tower will be the centrepiece of a new city outside the Red Sea port of Jeddah, will be almost twice as high as the current highest tower, the Burj Khalifa in Dubai, will take 12-minutes to reach the top by lift, and will cost in the vicinity of $40 billion. Critics are saying that with plenty of room to expand cities horizontally – as opposed to places like Hong Kong – Saudi Arabia has no need for such a tower, which they also say will attract "lunatic terrorist elements" who'll attempt to blow it up, fly a plane into it, set fire to it, or cripple power supplies and trap thousands inside. Others ask how much it will cost to pump water to the top floors for toilets and restaurants, how would people be expected to walk down 5000 steps in the event of a major power failure, and how would emergency services get to the top 330th floor in under 15-minutes to fight a fire… if at all if there is a major power failure? Or how do you air-condition the top floors that will heat up like an oven in the middle of the day, and cool down to near-freezing at night? Others simply consider the idea of standing at a window and looking out from 1.6km in the air "all just too scary," while there are those thinking more positively about joining the Mile High Club in the hotel that's planned for the top floor. And the influential Architects Journal summed up: "The race to build the highest skyscraper is quite futile… these buildings are a symbol of an old-fashioned way of thinking." QantasLink today announced it would add further capacity to three key markets in Central Queensland from mid-April. QantasLink Executive Manager, Mr Narendra Kumar said the increased capacity would further meet demand from regional communities and industries including the resource sector as will as supporting the recovery of three important resource and tourism centres in Central Queensland where communities were affected by the recent devastating floods. - Upgrading 35 return services between Brisbane and Rockhampton resulting in an increase of 208 seats per week, making a total of 7802 seats per week with 46.5 return services. “QantasLink operates to 21 destinations across Queensland, more than any other airline, and more than any other state across our network,” Mr Kumar said. Last month, QantasLink added approximately 5,000 additional seats per week across a range of Queensland regional routes, with the arrival of another new flagship Bombardier Q400. Over coming months, Barcaldine, Blackall, Bundaberg, Emerald, Gladstone, Hervey Bay, Longreach, Mackay, Moranbah, Rockhampton and Roma will all benefit from additional and upgraded services to and from Brisbane, with many flights operated by the 74-seat jet-like Q400s. As the country’s largest regional airline, QantasLink is embedded in regional Australia. With a network of 55 metropolitan and country destinations across all states and territories, the airline also launched its first international, destination – Port Moresby in Papua New Guinea – in July 2010. Services linking Perth and Exmouth in Western Australia commenced on 30 March. QantasLink has invested more than $850 million in 28 new Q400 aircraft since 2006, with the current fleet of 22 to grow to 28 over the next 18 months. The airline’s fleet also includes five Q200, 16 Q300 and 11 B717 aircraft, with a further two B717s recently announced. QantasLink is also overseeing the operation of the Qantas Group’s recently purchased Western Australian resources charter airline Network Aviation. Its fleet of eight aircraft is also set to grow, with the addition of a further 10 Fokker F100s. Sydney Airport will today celebrate the 100th anniversary of the first flight made from the site of what would become Sydney Airport. On 18 April 1911, Captain Joseph Joel Hammond, a New Zealander, flew a Bristol box-kite biplane on a flight that lasted less than 10 minutes. In 1911 the area was Ascot Racecourse. Today, it forms part of Sydney Airport’s east-west runway. The CEO of Sydney Airport, Russell Balding, said that Captain Hammond’s achievement 100 years ago was an important milestone in the history of Sydney Airport. “Captain Hammond was one of the early pioneers of aviation. His flights attracted great public interest with thousands of Sydneysiders buying tickets to witness the spectacle of a man flying. Media reports variously described Captain Hammond as “The Flying Man”, “The Bird-man” and an “aeronaut”. “Captain Hammond was obviously a man with an adventurous spirit, but I doubt that he could have foreseen how Australia’s aviation industry would develop over the next 100 years. His biplane weighed about 500 kilograms and the first flight attained a height of only 40 metres and travelled around 10 kilometres. “Today, an A380 taking off at Sydney Airport weighs about 560 tonnes, cruises at an elevation of about 12 kilometres and has a range of more than 15,000 kilometres. The first passenger to fly from the site was Captain Hammond’s wife, Ethelwyn. Today, more than 35 million passengers fly to and from Sydney Airport each year,” Mr Balding said. Captain Hammond flew in the Great War, became a test pilot and died on active duty in the United States when an aircraft he was flying on a war bonds promotional tour in 1918 crashed into a tree. He was buried in the Crown Hill Cemetery in Indianapolis. Sydney Airport’s staff will celebrate the 100th anniversary of the first flight with a BBQ at Hammond Place. A plaque marking Captain Hammond’s achievement will be unveiled by Sydney Airport’s CEO Russell Balding. Around 100 agents and media professionals were welcomed to the Elysian with cocktails and canapés then were entertained by a contemporary Japanese Dance troupe. After a very popular photo session with the dancers, Head Chef Banjaro spoke about his vision for this new cooking style before impressing all the guests with his superb 6-course menu. We’d like to add special thank you to everyone who joined us for the evening and were so enthusiastic about the latest innovations at the Elysian and Rush Bamboo Restaurant. Qantas announced today it would resume direct services between Australia and Tokyo from Tuesday 19 April 2011.Scheduled services between Tokyo and Australia will recommence on 19 April 2011. Qantas Chief Executive Officer, Mr Alan Joyce, said a range of factors had been taken into consideration before making the decision to recommence direct services. "Qantas has been working closely with the Australian Government, as well as industry and health experts including the International Air Transport Association, International Civil Aviation Organisation, Australian Radiation Protection and Nuclear Safety Agency and World Health Organisation to monitor the situation in Japan," Mr Joyce said. "Together with the advice of these authorities and our own assessments, Qantas is now satisfied that infrastructure services have returned to normal in Tokyo and our crew will now be able to undertake appropriate rest breaks. Qantas currently flies daily from Sydney to Tokyo and three times per week from Perth to Tokyo. Qantas recently announced that services between Perth and Tokyo will be suspended from 10 May 2011. Passengers are advised to check qantas.com for the latest information. China is the key emerging market the travel and tourism industry should focus on over the next five years, reveals new research at yesterday’s inaugural WTM Vision Conference -Milan. Chinais predicted to be the biggest outbound tourism market of the emerging BRIC (Brazil,Russia,IndiaandChina) economies with a total of 20 million trips until 2015, reveals the Euromonitor International report, which was launched at the first session of WTM Vision Conference. The Travel and Tourism Global Overview report looks at the absolute increase in outbound travellers from a number of leading markets.China leads the way for the BRIC economies, with a total of 20 million new outbound departures between 2010 and 2015.Russia comes next with an increase of nearly 12 million, andIndia with more than nine million. 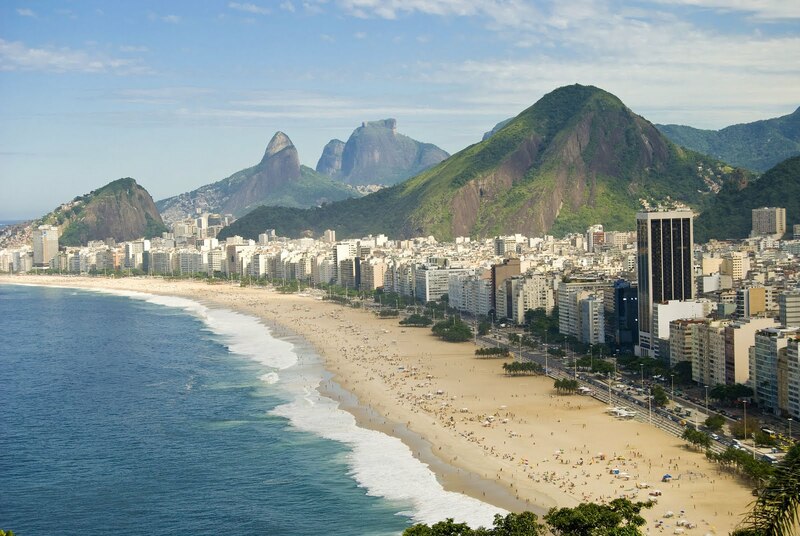 Brazilfares less well with only two million new trips forecast, although its focus during the period will be on attracting inbound travellers, driven by its hosting of the FIFA World Cup 2014 and the 2016Rio de JaneiroOlympic and Paralympic Games. “More than 40 countries are now predicted to have more than one million additional outbound trips over the next five years, with many from the Middle East and Asia Pacific, home to growing middle classes, keen to travel and explore overseas,” Euromonitor International Travel and Tourism Industry Analyst, Angelo Rossini told delegates at WTM Vision Conference – Milan held at the Italian Stock Exchange. Arrivals between 2010 and 2015 were also studied. Again, theUSandChinalead the way with an absolute growth in visitors of 18.6 million and 17.8 million respectively. In dollar terms, theUSwill benefit to the tune of $49.4 billion withChina’s income from the new arrivals $15.9 billion. As part of the WTM Vision Conference’s proposition, all delegates received the full Euromonitor International Travel and Tourism Global Overview report, worth £1,000, free of charge as part of their attendance fee. The next WTM Vision Conference - WTM Vision Conference –Dubai- takes place on May 3 at the Arabian Travel Market before WTM Vision Conference London on May 25 at the UK Confederation of British Industry’sLondonheadquarters. Hot on the heels of its record breaking 2010 performance which saw more than 318,000 Australians visit Fiji across the year, the destination has kicked off 2011 in strong form with Australian visitor arrivals for January closing in on the 26,000 mark. Figures released by the Fiji Bureau of Statistics this week show a total of 25,718 Australians visited in January establishing a new record for January arrivals. The figure represents an 11.37 per cent increase over the 23,092 recorded for the same period in 2010. Australia again continued to be the primary source of arrivals to Fiji for the period, the 25,718 figure constituting 53.08 per cent of all international visitors recorded across January. Tourism Fiji Regional Director Australia, Paresh Pant said he was confident that the positive start to 2011 was indicative of what he anticipated would prove yet another very strong performance for the destination. "Given forward booking feedback received from our airline and wholesaler partners for the first half of the year, we are at this stage looking at what we are confident will prove another record year for Fiji from this market," Mr Pant said. The positive start to the year was reflected across most of the destination's key source markets with combined figures reaching 48,455, an 8.27 per cent increase over the 44,755 achieved in January 2010. New Zealand visitor numbers remained steady, the 4627 recorded for the month representing a 2.69 per cent increase over January 2010 figures. Arrivals from the UK/Europe stayed positive, the 4889 arrivals recorded for January representing a 6.54 per cent increase over the 4589 achieved in 2009. United States of America arrivals also increased in January - from 3939 to 4179 51, a 5.29 per cent year on year increase. Chinese visitor arrivals continued to grow, increasing to 1207 for the month, a 29.78 per cent growth over the 930 figure achieved for the same period in 2010. Arrivals from India stayed steady, the 152 figure recorded for January representing a 0.65 month on month decrease. 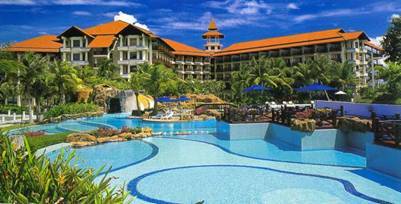 Worldhotels affiliate Sutera Harbour Resort collected the 'Best of Malaysia Travel Award 2010' for Best Golf Course or Resort. Its three championship courses at Sutera Harbour Golf & Country Club are set against the spectacular backdrop of Mount Kinabalu, beside the South China Sea in Sabah. The 'Best of Malaysia Award' is voted by readers of The Expatriate Lifestyle Magazine, Malaysia's top lifestyle publication for expatriates. Golf facilities at Sutera Harbour Golf & Country Club include a splendid clubhouse with 41-bay driving range. It is also East Malaysia's only course equipped for night golfing. Previous accolades have included 2nd runner up for Best Golf Resort in Asia in the Asian Golf Monthly Awards 2008, Best Golf Resort Malaysia at HAPA 2007 and Malaysia's Best Golf Resort at the 2006 World Travel Awards. Sutera Harbour Resort Group earlier collected a series of honours in the 2010 Hospitality Asia Platinum Awards – including 'Most Unique F&B Concept' for its sunset cruise aboard the motor yacht Puteri Sutera. The Deluxe Collection affiliate is an integrated destination in Kota Kinabalu comprising The Magellan Sutera Resort, The Pacific Sutera Hotel and 27-hole championship golf course with 104-berth marina as well as the extensive recreational facilities of Sutera Harbour Marina, Golf & Country Club. The Resort also manages five eco-resorts under the Sutera Sanctuary Lodges brand while North Borneo Yachting provides the ultimate holiday experience aboard the Puteri Sutera. Also soon to be scheduled are excursions aboard a vintage North Borneo Railways steam train. Images of the destination, including photos of its latest 'Earth Hour' photography contest, can be viewed online at the Sutera Harbour Resort Fan Page on Facebook. 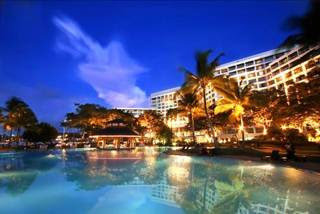 For further information on Worldhotels visit www.worldhotels.com. Two of South America's most iconic cities will soon have a faster link to Dubai and over 100 destinations worldwide when Emirates commences its daily non-stop service to Rio de Janeiro and extension to Buenos Aires from 3 January 2012. "Both Buenos Aires and Rio de Janeiro are rightly renowned as world-class leisure destinations as well as important business and trading centres. Our research has shown that there is a high demand for these cities from across our network," said His Highness Sheikh Ahmed bin Saeed Al-Maktoum, Chairman and Chief Executive, Emirates Airline & Group. "Brazil has been part of the Emirates network since 2007 when we began flights from Dubai to Sao Paulo. With the country playing host to both the 2014 FIFA World Cup and 2016 Olympics, Brazil will be further catapulted into the world's spotlight, and we will be in a prime position to transport sports enthusiasts to these renowned events. Meanwhile, our first service to Argentina is a much-anticipated addition to our network which will open important new markets for us," added Sheikh Ahmed. "Emirates' plans to implement services from Dubai to Buenos Aires and Rio de Janeiro will play an important role in increasing tourism, trade and investment between Argentina, Brazil and the UAE, in addition to the airline's vast global network," said Carlos Enrique Meyer, Minister of Tourism of Argentina. "Emirates' current service to Sao Paulo has been extremely popular since it was first introduced. The addition of Rio de Janeiro will serve to further increase the cultural ties between our two nations," said Pedro Novaes, Minister of Tourism of Brazil. Throughout all cabin classes, passengers can enjoy over 1,200 channels of entertainment on demand on "ice", the airline's award-winning in-flight entertainment system. Passengers flying Emirates from Buenos Aires and Rio will also be able to connect to Emirates' global network across the Far and Middle East, Indian sub-continent, Africa, and Australasia via its hub in Dubai. "The arrival of Emirates will be an important bridge between Rio de Janeiro and the East, generating many new trade and tourism opportunities," said Sergio Cabral Filho, Governor of the State of Rio de Janeiro. 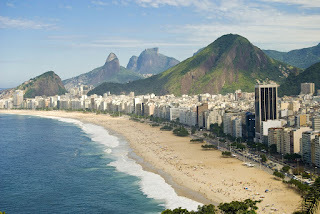 "Rio has, today, one of the world's most impressive international events calendars including, the 2011 World Military Games, the 2013 Cup of the Confederations, the 2014 FIFA World Cup and the 2016 Olympic Games. This new service, from January 2012, will be an extraordinary gain for our state and our city." Brazil stands as one of the world's fastest-growing economies, thanks to its success in the petroleum sector, a young and active workforce and stability in urban growth. Trade between Brazil and the Middle East follows the trend: according to the Arab Brazilian Chamber of Commerce, exports to Arab countries totalled US$12.57 billion in 2010, representing an annual growth of 34%, while imports ended the year with US$6.96 billion, an increase of 33% compared to 2009. Argentina has also experienced positive economic growth in 2010. Tourism, one of the country's major economic drivers, is a good indicator. According to INDEC (Argentina's National Institute of Statistics and Censuses) there were 2.6 million foreign tourist arrivals at Buenos Aires airports in 2010, (an annual increase of 27%). Government projections for international visitors for the 2010-2012 period are very optimistic with Asian markets expected to increase their current share of the tourism market. Starting 3rd January 2012, EK 247 will leave Dubai daily at 0705hrs and arrive at Rio's Antônio Carlos Jobim International Airport at 1535hrs. It will depart Rio at 1720hrs, arriving at Buenos Aires Ministro Pistarini International Airport (Ezeiza) at 1930hrs. From Buenos Aires, EK 248 departs at 2130hrs, arriving in Rio at 0120hrs the next day. The aircraft will depart Rio at 0255hours, arriving in Dubai at 2235hrs. Find out more at www.emirates.com/au. Tourism Australia today announced Sydney has been selected as host city for Dreamtime 2011, Australia's premier trade marketing activity for international business events buyers. More than 100 business events decision makers and 20 media from key international markets will be invited to participate in the five day Dreamtime itinerary. The event begins on 13 November and includes a series of educational activities, gala and business networking events before concluding on 18 November 2011. Up to seven other destinations in Australia will also form part of the itinerary for the international delegates. A request for proposals is being issued to Australian destinations wishing to host educational visits prior to the host city program. Ms Penny Lion, Head of Business Events Australia, said Sydney's proposal for Dreamtime 2011 highlighted the city's creative thinking, contained an innovative communications strategy and support for the event from across the city. "Dreamtime is Tourism Australia's highest profile incentive event and we are thrilled to have the opportunity to showcase the very best Australia has to offer in one of our most beautiful cities, Sydney," said Ms Lion. Incentive events are used by organisations to improve the performance and motivation of their people and are a key strategy for improving productivity, increasing sales, or retaining and recognising high achievers. "Bringing key incentive buyers to experience Australia is the best way to encourage them to bring their clients here," said Ms Lion. "We are absolutely focused on presenting an outstanding Dreamtime – which will showcase exceptional destinations and experiences around Australia and leave buyers with no doubt about the high value Australia delivers," she said. Mr Jon Hutchison, Chief Executive Officer, Business Events Sydney, said Sydney was delighted to be appointed host city for Dreamtime 2011. "Sydney's Dreamtime program has been designed to inspire buyers to choose Australia for their next international event. I'm proud of the professionalism and quality of Sydney's business events industry and certain of their support in delivering an amazing Dreamtime experience," said Mr Hutchison. Dreamtime 2011 will be supported by exclusive airline partner Qantas. Dreamtime was last held in 2009, also in Sydney. Recent negotiations with industry suppliers have proved fruitful for Australian and international members of the International Food, Wine and Travel Writers Associations (IFWTWA). Graeme Kemlo, Australian-based board member of the International Food Wine and Travel Writers Association has held successful discussions with many suppliers as part of the Australasian division’s strategy to form strategic partnerships with industry leaders. “We’ve struck a deal for our members with two key partners – Nikon and Interline Reservation Service and the benefits to members are substantial” he said. Kemlo has also said the relationship with Nikon means that IFWTWA members will receive an exceptional service on the purchase of photographic equipment and will have the opportunity to participate in photographic training and Nikon sponsored activities over the coming years. Interline Reservation Services have now offered IFWTWA members a discounted membership. Substantial discounts to cruises, airline and accommodation are now available to any Australasian IFWTWA member who takes up the IRS membership offer. Further discussions with other indentified strategic partners are under way and according to IFWTWA Australasia Chairman, Kevin Moloney, will increase the benefits of membership even further. “We’re looking at long-term relationships with key industry partners and those that we’ve opened up discussions with can clearly see the benefits in being associated with IFWTWA. Our international profile and wide-reaching media access is unparalleled and makes us an attractive proposition,” he said yesterday. Negotiations are progressing well for Write Down Under - IFWTWA’s international conference which will be held in Melbourne in 2013 where Food Wine and Travel writers form the US and Europe will descend on Melbourne for the three days. “Vital to the success of the conference will be the relationships we are putting in place today,” Moloney added. 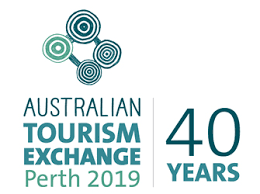 ATE is Tourism Australia's premier business-to-business event, providing a forum for Australian tourism businesses to showcase their products, meet overseas contacts and negotiate business deals with the travel trade who sell Australian holidays overseas. Around 100,000 business meetings will take place during the event, which is being held at the Sydney Convention and Exhibition Centre (SCEC) from 2 to 8 April. Tourism Australia Managing Director Andrew McEvoy said ATE was important for building future demand for Australia's tourism experiences in the international market. "ATE is the most important event on the Australian tourism industry calendar and we estimate it will immediately inject more than $10 million in to the locally economy, but many millions more longer term," Mr McEvoy said. "Many deals will be done and millions of dollars worth of future tourism business for Australia will potentially be generated at ATE, resulting from the thousands of business meetings held during the event. "It presents an enormous opportunity for Australia's tourism industry to remain competitive internationally and will put us on track to realise the targets outlined in the 2020 Tourism Industry Potential. "The 2020 Tourism Industry Potential sets an ambitious goal to double the overnight expenditure generated by tourism from $70 billion to $140 billion by 2020 – which events such as ATE will help us to achieve," Mr McEvoy said. Held annually, ATE is staged in a different host city each year, with the support of the State and Territory tourism partners and Qantas Airways. This year around 1,700 Australian seller delegates from approximately 600 companies will be participating in the event. 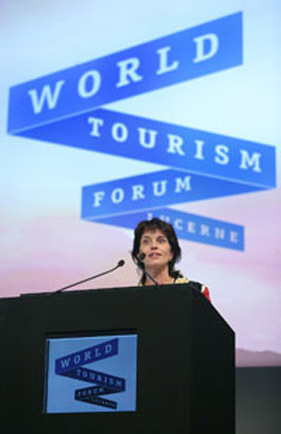 Tourism NSW Executive Director and General Manager Lyndel Gray said Sydney was looking forward to hosting the international travel industry for ATE 2011. Having recently hosted 'Oprah's Ultimate Australian Adventure', Tourism NSW has developed an exciting, welcoming program for ATE delegates. "ATE contributes significantly to continuing the growth of international tourism markets to Australia. This year 85 NSW and Sydney businesses, alongside Tourism NSW, will be promoting an impressive range of excellent tourism experiences and destinations. The NSW tourism industry is primed and eager to capitalise on the business opportunities that will be created by their participation in ATE. ."
As the host State, Tourism NSW has supported the delivery of ATE for 2011 through securing buyer accommodation and the Sydney Convention and Exhibition Centre as well as hosting buyer and seller delegates at three ATE showcase events during the seven day program. Tourism NSW has also organised around 30 familiarisation itineraries across Sydney and regional NSW for international buyers to experience local attractions, dining and accommodation. ATE 2011 has two modules covering the Eastern and Western hemisphere tourism markets. The Eastern Hemisphere module (Japan, Asia and the Gulf countries) will run from 2 to 4 April while the Western Hemisphere module (Europe, the Americas, Africa, New Zealand and the South Pacific) will run from 5 April to 8 April 2011. Mr McEvoy said ATE was also important for giving the people who sell Australian holidays first-hand experience of the country. "The beauty of ATE is that the international travel trade not only have the opportunity to meet Australian tourism business at one place but they also get to experience the destination and its tourism experiences first hand," Mr McEvoy said. "International buyers will get to immerse themselves in the host city Sydney during ATE and then travel to other destinations to participate in familiarisations that will help them to better sell Australia to the world." Australia received a record 5.9 million international visitors in 2010, an increase of 5.4 per cent on 2009, generating $24 billion in economic value for Australia. New South Wales received more than 2.8 million international visitors during 2010. International visitors spent more than 65 million nights in the State and injected more than $5.9 billion into the NSW economy.